“I have a few different thoughts about business,” Hector Pereira states matter-of-factly. And he’s right. His career is highlighted with challenges and achievements, such as luxury product manager for L’Oreal, marketing manager for a national distributor, and sales manager for Westinghouse. Throughout his career, he’s developed a keen sense of branding, budgeting, sales expansion, and client relationship building — aspects of his business knowledge he’s counting on for Fibrenew’s success in Santiago. Fibrenew is a leather, plastic and vinyl repair and restoration company that uses patented products to provide results that no other company can achieve. In Chile, there isn’t really a comparable alternative, so Pereira is excited to introduce this unique brand to his country. 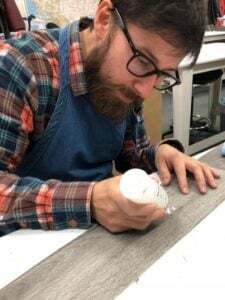 Pereira recently completed the Fibrenew training in Calgary, Alberta, Canada and says one of the highlights of the experience was working with the tools and products. He also remarked on the Fibrenew team: ‘A great group. I know I have all of them as backups. 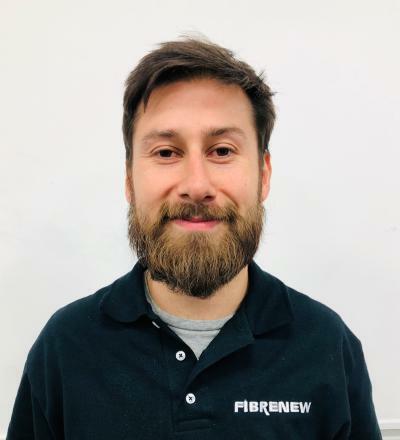 I liked working with these people.” Fibrenew provides franchisees with an exceptional support network, so even from South America Pereira can rely on the company’s knowledge and product experts for all his questions. He’s also worked along other Fibrenew owners to see different ways of performing business. In December Pereria left his position with Westinghouse to grab hold of the Fibrenew opportunity. HIs flagship franchise is based out of the northeast corner of Santiago. The densely-populated city provides vast opportunity for his business to grow. “There are about 2.2 million people in that area. There’s large families, schools, colleges, car dealerships, stores, etc. I can focus on,” he says. Fibrenew welcomes Hector to the team and very much looks forward to growing the brand in Chile with him.